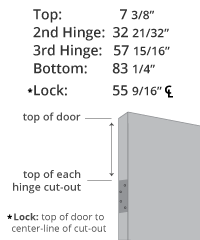 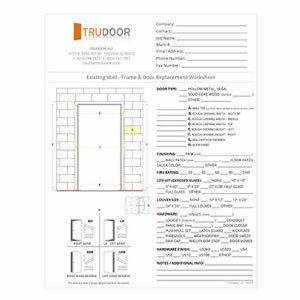 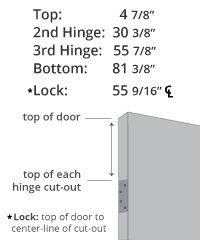 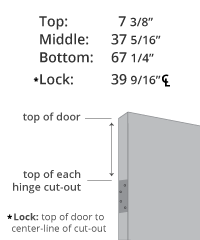 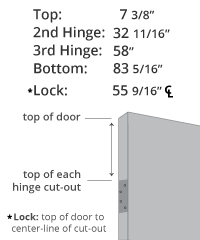 Use this worksheet if you need to replace a door, while reusing the existing frame. 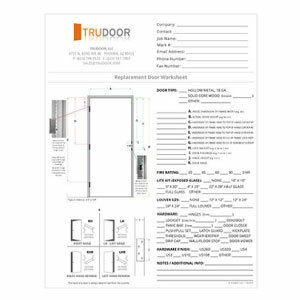 Use this worksheet if you need to replace an entire opening (frame and door). 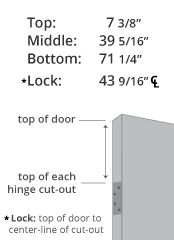 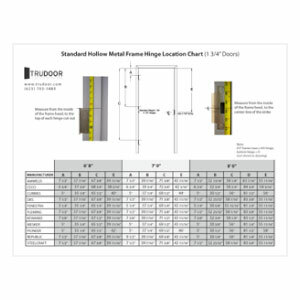 When replacing a hollow metal door on an existing steel door frame, precise measurements are needed to ensure that the new door will fit properly. 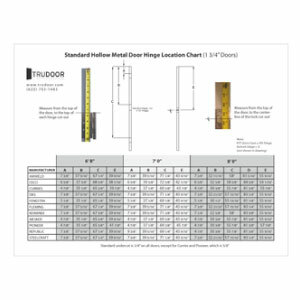 The chart below includes hardware locations for the most popular manufacturers of hollow metal doors and the most common door heights.